Homemade hot chocolate is the perfect sweet treat and drink to celebrate the holidays! 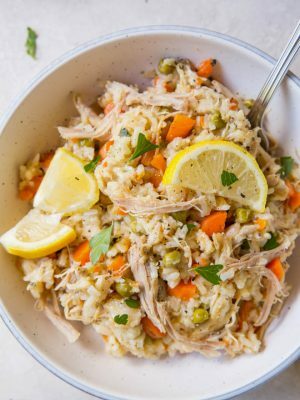 This recipe cooks in the Instant Pot or Crock Pot to make things easy for holiday entertaining. You can even adapt it to make keto hot chocolate. As soon as the outside temperatures start dropping, I immediately start thinking of my favorite cold-weather recipes. Hot chocolate is one of my favorite sweet treats to curl up with at the end of a work day. It satisfies my craving for chocolate and the warmth comforts me during the cold weather. 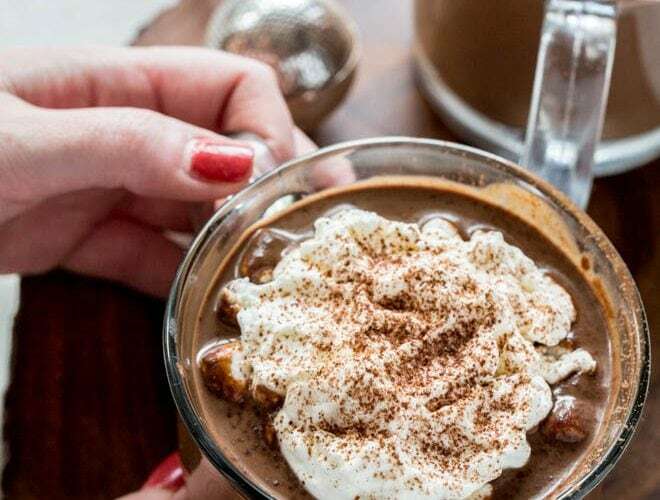 Best of all, homemade hot chocolate is a treat that only requires a few ingredients to create a drink worth sipping again and again. A warm creamy cup of hot cocoa is one of my favorite treats of the season! What’s even better during this time of year is homemade hot cocoa. Very few premixed or pre-made hot cocoa mixes compare to a cup of homemade hot cocoa. 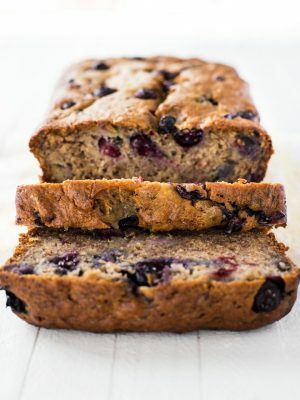 This recipe is made with ingredients that you most likely already have in your fridge and pantry. So it’s convenient and easy too! No need to make another trip to the grocery store for a delicious hot, piping cup of cocoa. 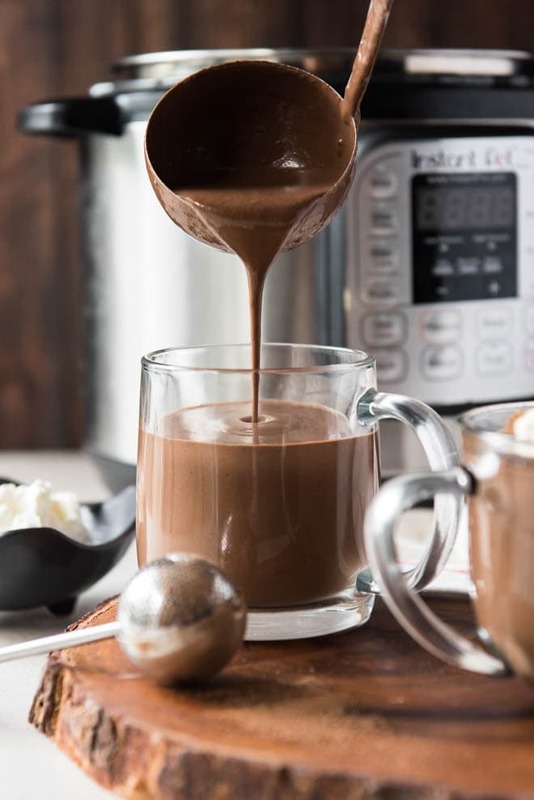 And when you make a large batch in the instant pot or slow cooker, you create plenty of hot chocolate to share with friends and family. It seems simple, right? It is! 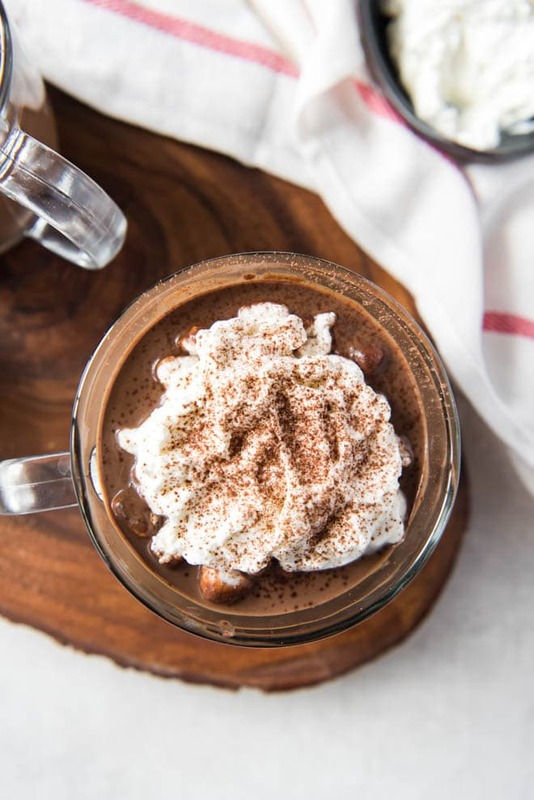 Unlike other instant hot cocoas where the recipe turns out watery and thin, this recipe uses chocolate chips, half and half and milk to ensure the hot chocolate turns out creamy and rich tasting. Combine whole milk, half and half, chocolate chips, granulated sugar, cocoa powder and vanilla extract together in a pot. 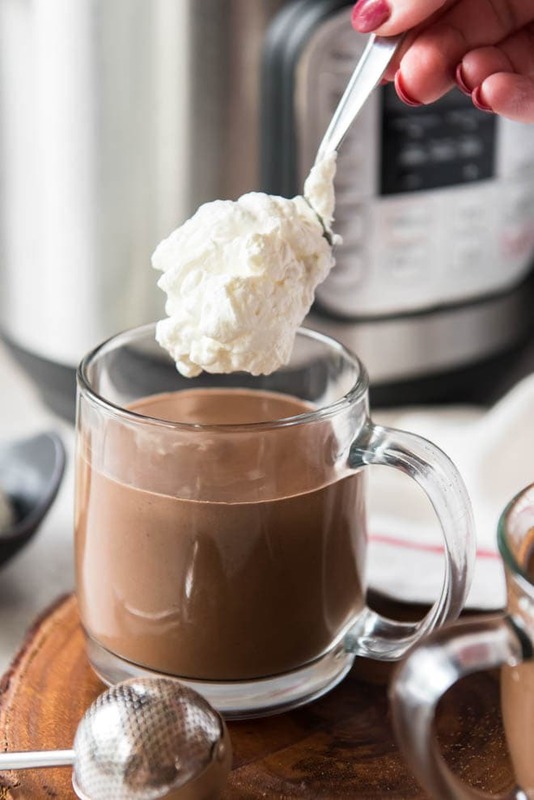 You can use the instant pot, crock pot or stove to make homemade hot chocolate. 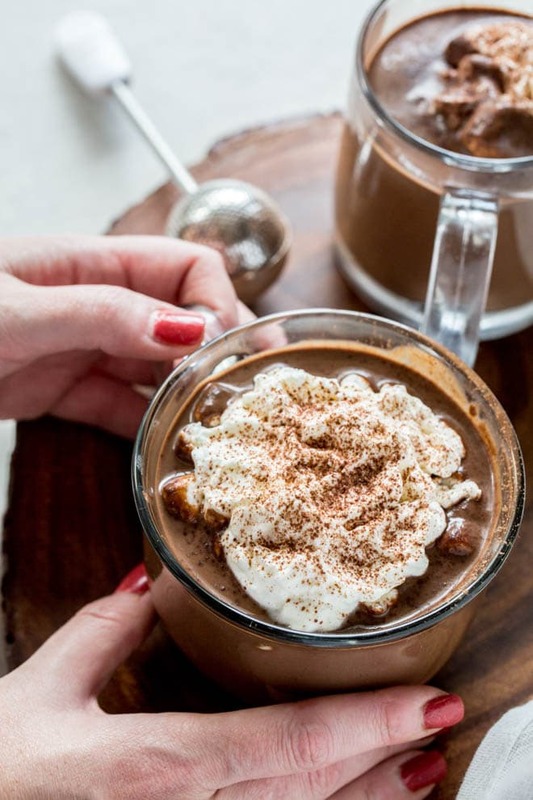 To make homemade hot chocolate in the instant pot, add all of the ingredients to an instant pot. Mix well. Place the lid on and set the manual timer for 1 minutes. Allow a natural release (about 30 minutes) and then top with your favorite toppings or extract flavors. 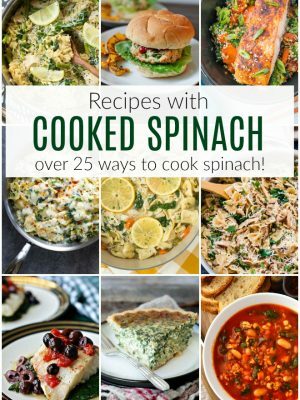 If you don’t have an instant pot, this recipe can be made in a slow cooker or crock pot as well. If you want to make this recipe in a crock pot, combine the same ingredients but cook on low for two hours. Make sure to stir occasionally to make sure the chocolate chips don’t stick. If you don’t have an instant pot, you can heat up all the ingredients in a pan on a stovetop. Keep the heat on medium low and continue to stir until all ingredients are combined and make sure they don’t burn. Don’t bring the mixture to a boil. You can adapt this recipe to make it low carb. Use high quality dark hot chocolate (sugar free, if desired) and omit the granulated sugar. 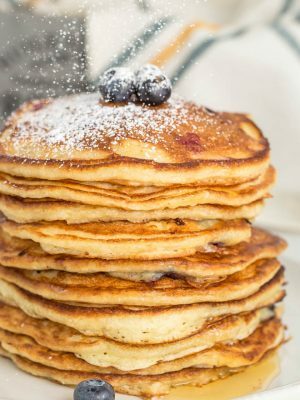 You can use a keto friendly sweetener as a substitute for the sugar. Always use high quality milk and chocolate. Whole milk yields the best texture and flavor. You can use any of your favorite brands of high quality chocolate. You can use sweetened condensed milk to help make the hot cocoa even thicker and creamier. If you want to use condensed milk in this recipe, just substitute 7 oz. (or half a can) for 1 cup of half and half. Don’t hesitate to adapt this recipe to fit your taste. 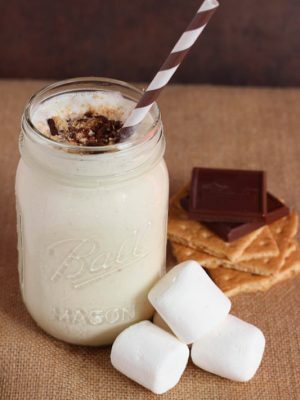 You can make keto hot chocolate by reducing the sugar or create unique flavors by adding different toppings. A hot cocoa bar is one of my favorite things to do for holiday entertaining! Every now and then, I host a cookies and cocoa party during the holiday season. I offer small bowls of my favorite toppings for guests to make their hot cocoa to fit their tastes. Marshmallows (both regular size and mini! ), chocolate syrup, sprinkles, whipped cream, cinnamon, chocolate chips and cocoa puffs cereal are a few of my favorite toppings. I also love chocolate spoons to stir into my cocoa too! In addition to serving a variety of hot cocoa toppings and flavors at my holiday party, I also love having a few holiday cookies to go with homemade hot chocolate! A few of my favorite holiday cookies are the Double Chocolate Chip Peppermint Cookies, Chocolate Crinkle Cookies, Royal Iced Sugar Cookies, and Toasted Coconut Soft Sugar Cookies. Homemade Eggnog beats anything than you can buy at the store. It’s rich, creamy and packed with flavor! 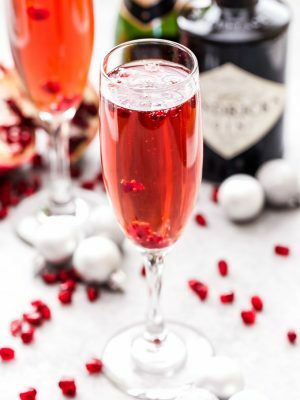 Cranberry Moscow Mule is a fun twist on the classic mule. Spiced Rum Chai Latte is a cocktail made for cold night! 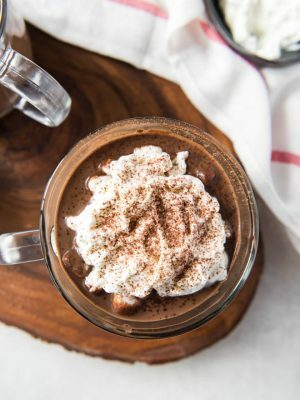 Instant Pot Hot Chocolate is the perfect sweet treat and drink to celebrate the holidays! In the Instant Pot, add all of these ingredients. Mix well. Place the lid on and set the manual timer for 1 minutes. Allow a natural release (about 30 minutes) and top with your favorite flavors such as salted caramel, peppermint, or chocolate sauce! Enjoy! Instant Pot or Slow Cooker is the perfect solution for when you want to set it and forget it! 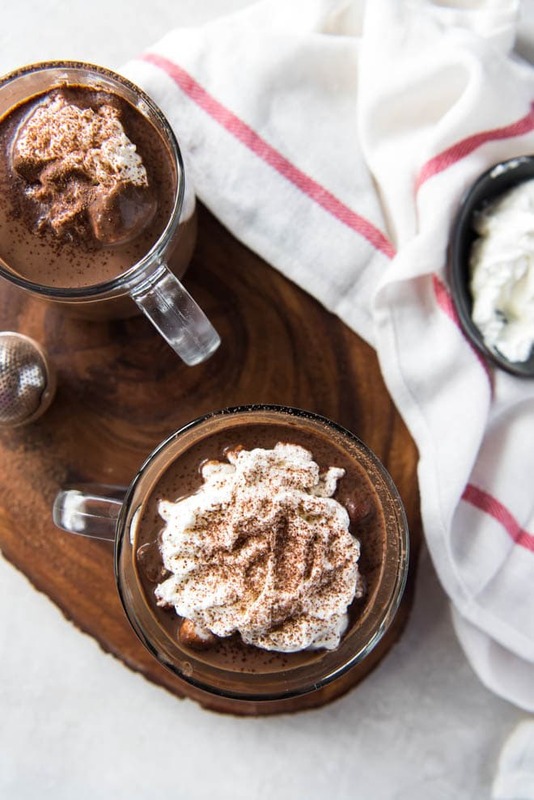 High quality cocoa powder makes all the difference in this hot chocolate recipe. Use any of your favorite brands in this recipe. Peppermint extract or other natural cooking extracts to add flavor to the hot chocolate. 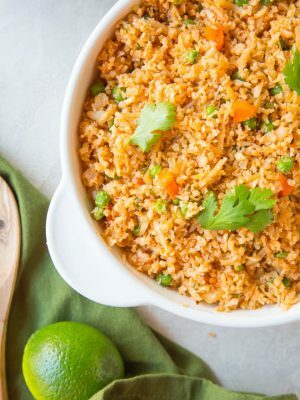 Is this recipe easily doubled for the Instant Pot? I’m planning on making this for a crowd (possibly 20 plus people)? Thanks! Hi, Lindy! It depends on the size of your Instant Pot. 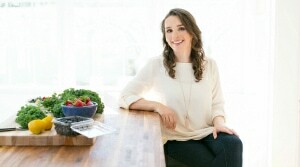 Your instant pot should not be more than 2/3 full. If you try it, let us know how it turns out. 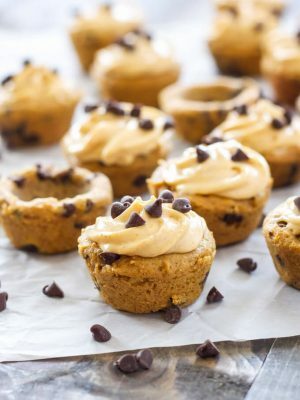 This recipe is so easy and amazing! We’ve made it several times now and the kids love it... and so the adults with a little Bailey’s ( ?)! I introduced my family to homemade whip with this, and now there’s no going back, lol. Hi, Carlyn! I'm so glad to hear your family loves it. Thank you so much for your feedback.